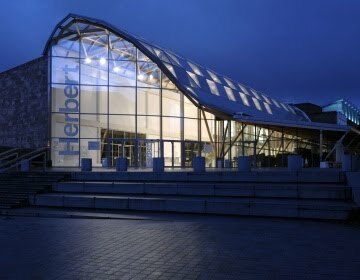 The Herbert Art Gallery and Museum, Coventry, is officially the most family friendly museum in Britain. Thanks to a £20 million redevelopment, careful planning of their interactive exhibits, excellent family learning programmes and some warm welcoming staff, they've just won the 2010 Guardian Family Friendly Museum Award. Undercover family judges included Claire Jowett, who visited with Molly (9) and Ruby (5), and Helen Rehman who visited with Alfie (4) and Izzy (18 mo). The kids loved the fact that they were made to feel welcome to explore and experience the museum, and that the staff asked what they were interested in doing rather than telling them what they should be doing. From their experiences, it sounds as though children are welcomed as 'proper' visitors, rather than just being accommodated or tolerated - the children liked being able to easily see over the front desk so they could interact with the staff themselves and ask questions, not having to ask for help to open the bathroom doors, and nice little details like the inviting labels on some of the exhibits saying "Please Touch". As for the experience of being an undercover judge, Alfie was so proud of being a "Secret Museum Inspector" that he told everyone all about it... sometimes it's hard keeping a secret when you're four! Click here to read more about the award and the shortlisted museums and galleries on the Kids in Museums website. Click here to read about The Herbert's child friendly facilities or to tell us about your experiences.